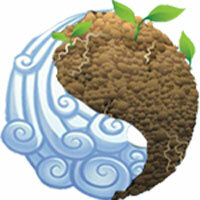 Aquarius-born (January 21st – February 19th) loves the romantic of Pisces people (February 20th – March 20th). Meanwhile, Pisces extremely adores creativeness of Aquarius. It’s great to have to admit that Aquarius and Pisces relationship is in each other’s pocket. Let’s check their interrelationship through a couple of important elements! 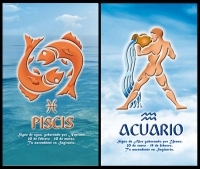 Aquarius belongs to the Air sign, and Pisces is a Water sign. Their compatibility is started from the same thoughts, feelings and respects. 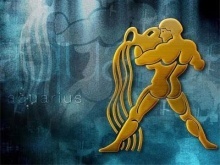 Pisces-born loves Aquarius’s dynamic action and intellect; meanwhile, the Aquarius might learn warmth and grit coming from the reserved Pisces. Sometimes, they might disagree about a few of problems in life, but these things don’t last for a long time. In general, the couple needs to pay attention to their partner’s emotions in order to deal with the troubles smoothly. Uranus and Saturn are ruled planets of the Aquarius. Jupiter and Neptune are the Pisces ruled planets. All of these planets support lots of useful things about emotions and intellects. Pisces loves searching for novel things. And if Aquarius (his/her partner) has any new though, Pisces will be the first person to help Aquarius perform it at the best level. Fixed sign is Aquarius’s representative; meanwhile, Pisces belongs to Mutable sign. Always developing new thoughts and changes, Pisces-born often have to accept these things as long as possible if they want to preserve relationship between Pisces and Aquarius. Both of them are good at starting than ending. Therefore, if they’re compatible with each other, nothing can stop their relationship. Generally speaking, this duo might be very good friends as well as great lovers. The troubles rarely happen between them. For instance, Pisces people are sometimes rather generous and trusting. To the Aquarians, they often show up their intelligent to Pisces. That’s the main reason that causes conflicts between them. The Aquarius-born is easy to remove anyone who doesn’t have the same ideas. Surely, any duo exists on some conflicts, but both these Signs easily forgive and forget. You can find more info in Aquarius Compatibility Signs! The Aquarians will teach Pisces-born lots of lessons about sacrifice. And the Pisces will devote their life and satisfy the Aquarius’ demands. In the Aquarius Compatibility Chart, this combination holds lots of meaningful things i.e. be ready to accept new changes. Moreover, there is no secret between them. Maybe, the Aquarius doesn’t want to detect their secrets, but they’re easy to share with the Pisces. The common things like energy, desire, emotion, enthusiasm will create an extremely compatible relationship. In case that you need to get more necessary information about this article “Aquarius Compatibility With Pisces“, please send your email in the box here. We’re here to serve you all times. thus virgo male have chance to love again leo female?there love last forever? As a couple, a Leo/Virgo relationship tends to start slowly and build over time. At first it may be difficult to see the others good side. Leo may find Virgo to be too careful and solitary, while Virgo may at first be put off by Leo’s desire to be the center of attention. Eventually the guy will be attracted to her charismatic ways and the woman will appreciate his patience and caring. The true love may take some time, but it can happen!